From the Star Wars collection by Plasticolor. Star Wars Boba Fett Auto Coasters 2 Pack. From the Star Wars collection by Plasticolor. 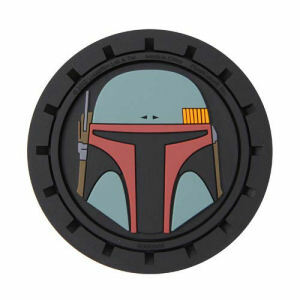 Star Wars Boba Fett Auto Coasters 2 Pack. Each auto coaster measures approximately 3.75 inches in diameter. Trim them to fit large and small auto cup holders. For automotive use only.